In February 1943, freezing cold winter air blanketed the Soviet Union. Despite this difficulty, German armoured units managed to defeat Soviet force. How did they do it? Find out more in this story. As the year became 1943, a series of actions centered around Stalingrad in southern Russia led to some of the heaviest fighting on the Eastern Front during World War II. The starting point was the encirclement of the German 6th Army on 19 November, 1942. In response, the 4th Panzer Army from Army Group Don launched an attempt to break the siege in December. The Red Army’s subsequent frontal offensive against the Italian 8th Army on the Chir River to the north soon opened a gap in the Axis lines that forced the Germans to abandon their attempt to relieve the 6th Army trapped in Stalingrad. Troops and resources were transferred to the northern part of the Eastern Front to contain the growing crisis. The situation in southern Russia was very unfavorable to the Germans. 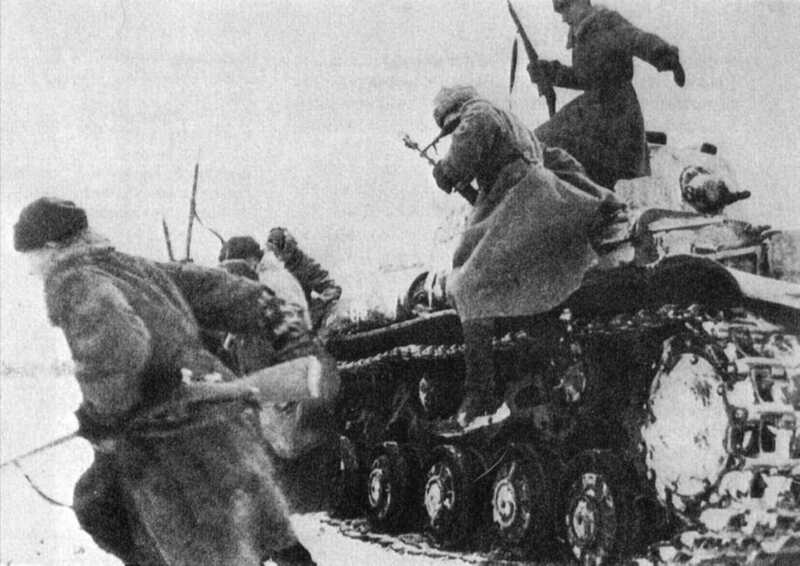 Apart from the siege of Stalingrad, Army Group Don to the south of Army Group B was having trouble resisting the Red Army’s assaults because too many sections of the front were held by unreliable Axis allies. The entire Axis battlefront was in danger of disintegrating. There simply weren’t enough German Panzer divisions to hold back the massive Red Army all at once, so they could only be employed as “fire-fighting” brigades that would rush to push back incoming attacks at critical points. Army Group A was in danger of such an attack. They entered the Caucasus during the summer and fall of 1942, and their long, narrow supply lines passed through a bottleneck at Rostov. If the Red Army’s spearheads reached Rostov on the shore of the Caspian Sea, the German forces on the Eastern Front would be caught in a massive strategic encirclement. The Germans would then be in danger of seeing a complete collapse of the Eastern Front. The situation was made even worse by Hitler’s refusal to give up on the Caucasus. Field Marshal Erich von Manstein, the commander of Army Group Don, found himself facing this mess. Although he had little in the way of resources, Manstein realised that he had to do all he could to stabilise the collapsing Don River Front so that Army Group A could withdraw from the Caucasus and pass back through the Rostov bottleneck safely. After much debate, Manstein finally persuaded Hitler to give him full control. 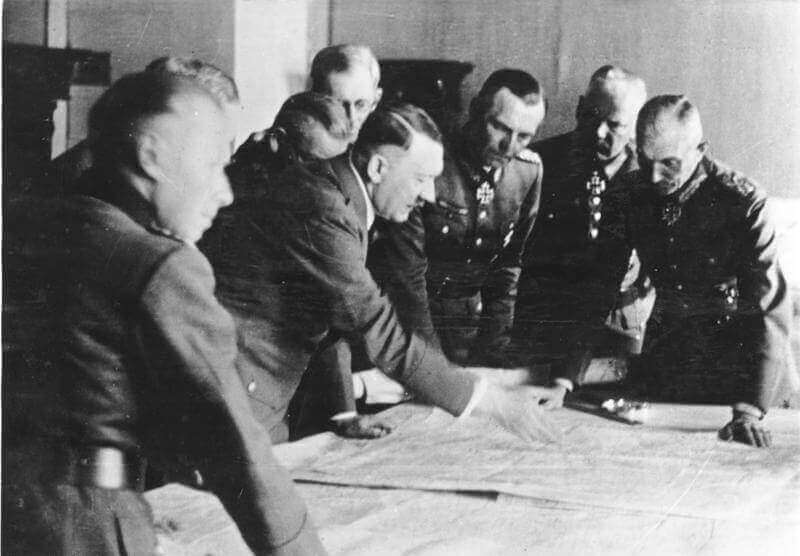 Hitler also agreed to not only let Army Group A withdraw from the Caucasus but also to give up large swathes of territory around the Don and Donets Rivers. Shortening the front would enable sufficient mobile forces to be freed to launch a counter-attack at the right moment. To prevent disaster in Southern Russia, Hitler provided Manstein with a powerful corps-level Panzer force: the SS Panzer Corps of the Waffen-SS. The SS Panzer Corps was led by SS-Oberst-Gruppenführer Paul Hausser, who had previously commanded the 2nd SS Panzergrenadier Division Das Reich. Corps Headquarters was formed in the Netherlands in the summer of 1942 with three Panzergrenadier divisions under its command: the 1st Panzergrenadier Division Leibstandarte SS Adolf Hitler (LSSAH), 2nd Panzergrenadier Division Das Reich, and 3rd Panzergrenadier Division Totenkopf. 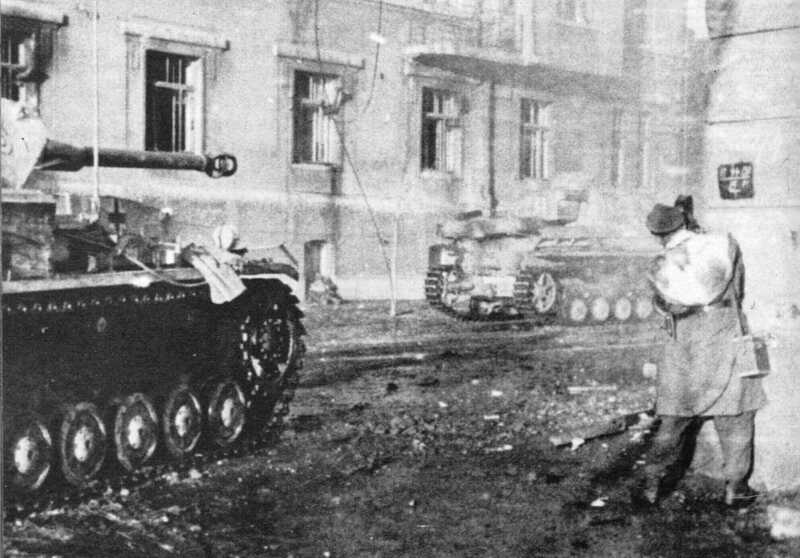 All three Waffen-SS divisions had taken part in the invasion of the Soviet Union during Operation Barbarossa during the previous summer and had suffered heavy losses during the bitter winter battles of 1941/1942. The entire corps had been temporarily withdrawn from the frontlines during the spring of 1942 and sent to northern France for rest and refit. At that point, LSSAH was only a motorised division while Das Reich and Totenkopf were motorised infantry divisions. All three units were upgraded to Panzergrenadier divisions. As the three units were already fully motorised, the upgrade to Panzergrenadier Division only required that a suitable number of Panzer units be assigned. In the summer of 1942, the Germans added a Panzer battalion to each division to strengthen their offensive power as part of Plan Blue ("Case Blue", Fall Blau), the general offensive on the Eastern Front for that year. Panzergrenadier divisions were therefore supposed to have one Panzer battalion. The three SS divisions were a special case, however. A Panzer regiment was added to each division, making them the equivalent of a standard Army Panzer division in terms of combat potential. Each SS Panzer company also included a company of Panzerkampfwagen VI Tiger tanks to maximise firepower. The Panzer VI, more famously known as the Tiger, was a new tank developed by the Germans based on encounters with the latest Allied tanks in earlier stages of World War II. They sported strong armour, following the example of heavily armoured French and British tanks. They were also equipped with a large-calibre, high-velocity tank gun. The resulting Tiger tank boasted frontal armour of up to 100 mm thickness, and its deadly 8.8 cm KwK 36 tank gun had a muzzle velocity of up to 810 m/s. Due to its thick armour, the Tiger had a combat weight of up to 55 tons! Most of the German armoured forces of 1942/1943 were still equipped with the Panzer III and Panzer IV. By this time, the Panzer III had evolved into the Pz. III Ausf. J, equipped with a long-barreled 5 cm 60-calibre tank gun offering better armour penetration. Its successor was the Pz. III Ausf. L featuring improved armour protection. On the Ausf. L, the frontal armour of the turret was increased to a thickness of 57 mm and the front hull was fitted with 20 mm of spaced armor for improved protection against shaped charges. As for the Pz. IV, the Ausf. F2 and Ausf. G models rolling out of factories had their 7.5 cm main guns replaced with a 43-caliber long-barreled tank gun to improve their anti-tank capabilities. This upgrade to the Panzer IV provided the German armored forces at the time with a main battle tank capable of standing up to the Soviet Army’s revolutionary T-34. In February, 1943, the situation in southern Russia was as follows: the 6th Army inside Fortress Stalingrad (Festung Stalingrad) had been annihilated. The 4th Panzer Army was dug in downstream of the Donets River and the Don River to cover the withdrawal of the 1st Panzer Army from the Caucasus. Once the 1st Panzer Army had passed through the Rostov bottleneck and safely reached the Upper Don River, it would turn around and cover the withdrawal of the 4th Panzer Army. The 4th Panzer Army was to take up positions northwest of Stalino to give Manstein the freedom he needed to launch the operational-level counter-attack he had planned. While these field battles were taking place, Manstein needed Army Detachment Hollidt to hold the line at the Mius River to give the counter-attack forces time to get into position. At this point, the Soviet Red Army ordered its forces on the Voronezh Front to launch Operation Zvezda in the Kursk/Belgorod region. Their primary goal was to overrun Kursk and then strike southwest to capture Kharkov. If this goal was achieved, the Voronezh Front would coordinate with the Southwest Front to continue pushing to the west and southwest, destroying the entire German field army in southern Russia. The only German unit standing in the way of this Soviet advance was the hastily assembled Army Detachment Lanz. This force had to cover a 130 km-wide front with limited troops at its disposal. Fortunately for Army Detachment Lanz Headquarters, Corps Rauss was under its command and contained the veteran infantry division Grossdeutschland. Also, the SS Panzer Corps sent by Hitler reached the battlefield just in time to participate. Their arrival in the Kharkov region shortly before the launch of Operation Zvezda by the Red Army took a great deal of pressure off Army Detachment Lanz. The Das Reich Division was the first to arrive and began working in concert with the neighbouring Grossdeutschland Infantry Division. Small battle groups were used to hold important locations over the wide front, effectively slowing down the Red Army’s advancing regiments while the SS battle groups delivered tactical counter-attacks where possible. At the same time, the LSSAH division moved to hold the east side of Kharkov while the Totenkopf division was still on its way by rail. The situation on the ground meant that doing so would simply be a waste of the personnel and equipment of three elite German divisions. SS-Oberst-Gruppenführer Hausser, the commander of the SS Panzer Corps, knew this very well so he decided to ignore Hitler’s order. He instructed his forces to pull out of Kharkov before the encirclement could be completed and the city was abandoned on 16 February. Hausser’s decision allowed these elite German formations to escape intact. While the battle raged over control of Kharkov in the north, the 1st Panzer Army on the southern segment of the Eastern Front was also engaged in bitter fighting around the Upper Donets River to cover the 4th Panzer Army’s move to the northwest of Stalino. Once the 4th Panzer Army was in place, Manstein would use it to launch the decisive counter-attack he had planned. The counter-attack was expected to cut off Red Army forces that had pushed their way to the Dnieper River. 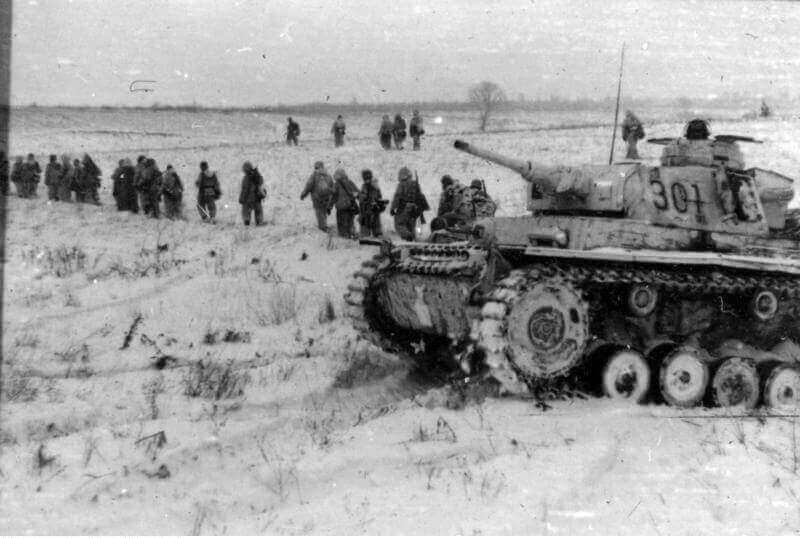 The 4th Panzer Army reached its designated positions on 10 February while the SS Panzer Corps that had withdrawn from Kharkov massed around Krasnograd. Their 3rd division, the Totenkopf Division, was also about to arrive. Manstein planned to use the SS Panzer Corps and the 48th Corps of the 4th Panzer Army to attack in the northwest and southeast directions. The objective was to cut off and destroy Red Army forces pushing towards the northwest. Once this objective had been met, the SS Panzer Corps and the 48th Panzer Corps would join the 40th Corps of the 1st Panzer Army in mounting a joint offensive towards Kharkov in the north. Under this plan, the SS Panzer Corps would strike southwest from Krasnograd with the Das Reich Division and Totenkopf Division. The LSSAH Division would fight to contain the Red Army’s breakthrough point. The Das Reich Division began moving on 20 February and when the Totenkopf Division arrived two days later, it immediately flung itself into the attack as well. The SS Panzer Battle Group immediately cut the Red Army’s supply lines and continued pushing forward; the attack launched by the Totenkopf Division widened the breach even further. On 23 February, it was the 48th Panzer Corps turn to attack and push northwest, putting the Red Army in a precarious situation. On the following day, the Das Reich, Totenkopf, 6th Panzer Divisions successfully surrounded and destroyed the 25th Tank Corps of the Red Army. By the evening of the 24th, the German attacks had developed into a frontal offensive to the north. The Das Reich and Totenkopf Divisions, organised into several Panzer battle groups advancing in a line abreast, were making smooth progress. The Soviet units collapsed and retreated to the north. Manstein now placed his attention on Kharkov. Hitler had issued strict orders for the capture of this important city. On 6 March, Manstein launched the second phase of his offensive with Kharkov as the objective. The SS Panzer Corps and 48th Panzer Corps continued to advance in a line abreast. This time, the LSSAH Division would join the offensive. With the Totenkopf Division on the left wing, the LSSAH Division in the centre, and the Das Reich Division on the right wing, the three divisions began their advance on Kharkov. 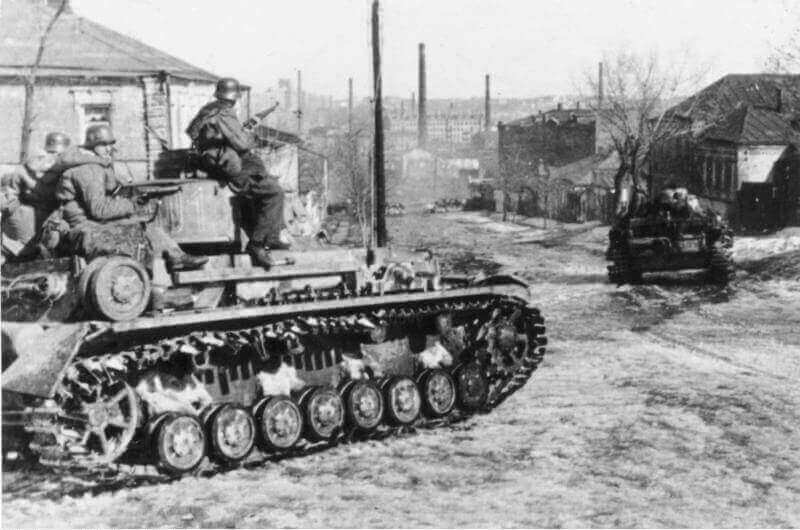 The three divisions of the SS Panzer Corps neared Kharkov on8 March and began preparing to surround the city. To maximise their gains, Generaloberst Hoth, the commander of the 4th Panzer Army, ordered the Waffen-SS divisions to avoid frontal attacks and outflank the Soviet units instead. The officers and men of the SS Panzer Corps wanted to capture Kharkov as soon as possible, however. This meant that theye increasingly tended towards direct attacks on the urban areas. While a part of the SS Panzer Corps continued to carry out the orders to outflank the Soviet forces, the main force pushed into the built-up area and engaged in heavy fighting to drive the Red Army out, block by block, while the Totenkopf Division took up positions to the north to guard the other two divisions’ flanks. By this point, the Red Army had suffered heavy losses. Its surviving units either retreated to the north, or were destroyed in place. The divisions of the SS Panzer Corps then joined the 48th Panzer Corps in giving chase to the north as well. The fighting continued until 23 March, when the German forces were forced by the muddy conditions during the spring thaw to halt their pursuit. Thus ended the Third Battle of Kharkov, during which Manstein overcame severe difficulties, securing a victory and capturing his objective. Text and photos are provided by Alte Kamerade Publishing Studio. Alte Kamerade Publishing Studio is based in Taipei, Taiwan since 1998. It is a mini publishing studio of professional military history.